Expecting lots of company? Serve up our party-pleasing fruit creation, designed to delight every big crowd! 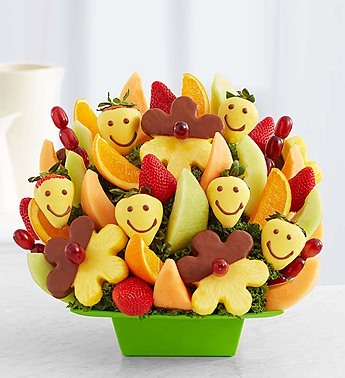 Bright, smiling strawberries are mixed with mouthwatering pineapple daisies, juicy melon, orange wedges, plump grapes and more to satisfy every guest!